Born in Kojonup, I lived on a wheat, sheep and cattle farm about 40 kms out of town, in my early teens I moved to the Bunbury and Busselton area to further my education. I bought my first real estate which was 3 blocks of land in Binningup in 1974, a few years later a house in Carey Park from there a delightful acreage property in Stratham which I called home for 30 years. I have now relocated to the rural community of Donnybrook and I will be building a home here in the very near future. I was the owner of a hospitality business for 5 years, prior to real estate so I was focused on sales and being people orientated. In 1984 after selling that business I was invited to join a large local real estate company as a Sales Representative, I instantly loved it so I fast tracked my way up the corporate ladder very early in my career so I could own and operate my own Real Estate Company which I did by purchasing Status Realty. This was a fantastic experience and I was involved in all facets of Real Estate. I sold the company after 7 years and was employed for positions in the real estate industry including licensee and sales manager. At this time I also was a trainer for the Real Estate Institute Of Western Australia in the Bunbury area which was very rewarding. 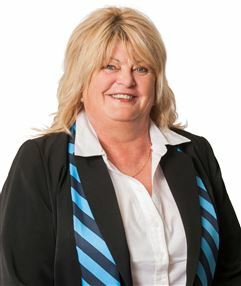 Over 30 years I have seen massive changes in the industry but I am still loving real estate and enjoying being part of the team of Harcourt’s Bunbury as a Senior Sales Consultant . I believe in hard work combined with strong personal honest open beliefs and high values are my keys to a successful real estate career and transactions. At all times my clients are always my highest priority and I have the attitude of giving more than what is expected. Ability is what you’re capable of doing. Motivation determines what you do. Attitude determines how well you do it.